Artists are just really just regular people. And when a great storybook introduces someone like Andy Warhol to kids, they just get to know him on a personal level as the wacky guy who liked cats. Maybe they can relate because they like cats, too. Now that they have something in common with Andy Warhol, they've made a personal connection, and they are really interested in learning more! That's the magic of reading art history storybooks with your kids. And the best news is... there are SO MANY great ones out there. Today I'll share a few of my favorites, and also let you in on some other creative ways you can inspire your kids with art! Let's get started! Exploring artists with your kids is so fun and rewarding, but doing it right takes a little thought. Before I introduce a new artist to my kids, I think about the takeaway I hope they will remember. I try to just focus on one thing I want them to really "get" about the art or artist. There are literally hundreds of fun facts, quotes, stories and other informational tidbits we've learned over the years about famous artists. Try to forget all of that before you introduce your kids to the artist. Start back at zero along with your kids, and invite them to lead the exploration with their questions. Try to let the kids come to their own conclusions, and form their own opinions of the art/artist before they learn the opinions of others. This encourages critical thinking, and also helps kids to decide for themselves what they think... giving them confidence, and helping them to get comfortable with expressing their thoughts in words. I never expect my kids to remember the things we talk about when casually exploring a new artist through books, but often times they do. They actually remember a LOT. I don't ask them to memorize dates and facts, but I hope they'll internalize a general sense of the artist and why they were important. The books are so engaging, that the kids usually like to hear them over and over, making it more likely they will remember what they've read. This repetition familiarizes kids with art and artists in a way that it just becomes part of their common knowledge. You can take learning a step further by being on the lookout for educational opportunities. They pop up out of nowhere, and they can be really rewarding. If you are doing a science lesson, reading a book, or just having a conversation, and a topic comes up that you studied in an art book, make the connection, and discuss it with your kids! Scour your local used book stores, library book sales, and online textbook sites to find college art history text books. They're fun to have around and flip through for inspiration. Search Amazon or your local museum shop for fun art history related games. Look for coloring books that let your child color paintings of the great masters. There are several great ones out there, and it's a fun way for your kids to get up close and personal with some timeless masterpieces. Did I mention your child's favorite book? Or did I completely forget a great one?! Let me know in the comments below or find me on social media and let's chat! 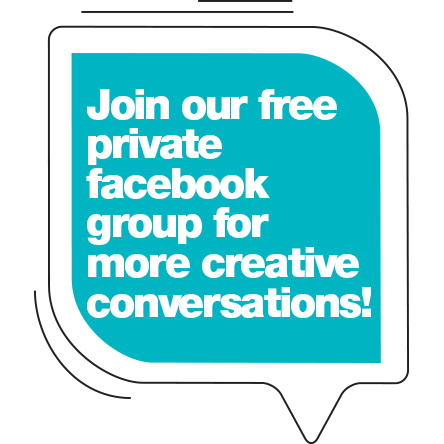 Or better yet... come join the private Facebook group to connect with an engaged group of homeschool moms who love finding new ways to incorporate art with their kids! Sign up to receive a weekly email with project ideas, book suggestions, or other fun art inspiration for your kids. Thank you. Please check your email to CONFIRM your subscription!